Will graduated from the Louis D. Brandeis School of Law at the University of Louisville in 1999 and the University of Kentucky in 1991. He is admitted to practice in the courts of the Commonwealth of Kentucky and in the United States District Court for the Western District of Kentucky. While the firm has a general practice scope, Will has a special interest and extensive experience in the areas of municipal law and management, election law, and government affairs. 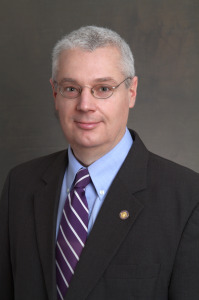 Will is a member of the Kentucky Bar Association and the Hopkins County Bar Association, where he has previously served as President, Vice President, and Treasurer, respectively. Prior to founding the firm, Will worked in government relations and external affairs for a top national cable television operator. His duties included coordinating and negotiating with the company’s local franchising authorities in his geographic area of responsibility. He also directed the company’s highly successful communications effort during the 2011 retransmission consent renewal cycle, including coordinating public polling and market research activities, developing and implementing crisis communication strategies and tactics, and overseeing video ad production efforts with media consultants. Will served two tw o-year terms on the Madisonville City Council, being first elected in 2002 and reelected unopposed in 2004. 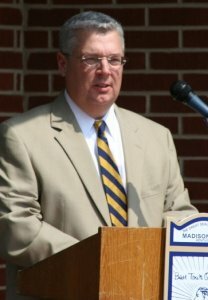 Will was then elected Mayor of Madisonville in November 2006 and served from January 2007 to December 2010. 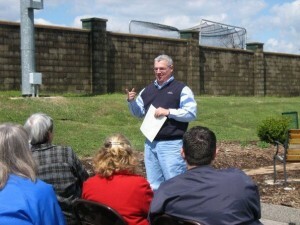 During his term as mayor, Will directed the City’s response to the devastating Ice Storm of 2009, the worst natural disaster in Kentucky’s history. Media outlets ranging from ABC “World News” to the Fox News Channel profiled Will for his innovative leadership and communication efforts during the Ice Storm. Will’s efforts were also profiled by the Michigan Municipal League (http://www.mml.org/resources/publications/mmr/issue/septoct09/facebook.html). Prior to his city government experience, Will practiced law across Western Kentucky with the firm of Whitfield & Cox, PSC (formerly Whitfield & Calvert, PSC). He lives on the family farm just outside Madisonville with his wife, Marci, and their two spoiled-rotten dogs: Barney and Sally.